Notification of the passing of Air Force veteran and ret. DL Captain Thomas B. Woodcock, age 60. Captain Woodcock hired on with Delta 07-31-1981, and was based ATL. 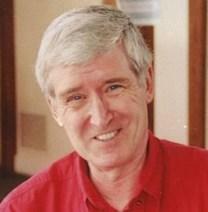 Mr. Thomas B. Woodcock, age 60 of Marietta, GA and Sag Harbor, NY, passed away Friday, August 24, 2012. Mr. Woodcock was a graduate of Newington High School in Newington, CT and the University of Miami in Coral Gables, FL. Mr. Woodcock proudly served in the Air Force as a F-4 Phantom Pilot. He retired from Delta Airlines after 23 years as an International 767 Captain. Mr. Woodcock was also a member of Johnson Ferry Baptist Church for over 18 years. He will be deeply missed. Mr. Woodcock is survived by his beloved wife Pam; mother Ruth W. Lyles of Marietta, formerly of Sag Harbor, NY; son Christopher Woodcock of Sag Harbor, NY; daughter Janice W. Frazier and husband John of Marietta; granddaughter Danielle; and a soon-to-be-born grandson; cousins Richard Woodward of CT; David Woodward of Stevensville, MD, and Barbara Pollack of Lansing, MI. Memorial services will be held on Tuesday, August 28, 2012 at 11:00am at the chapel of Johnson Ferry Baptist Church in Marietta with Associate Pastor Art Wilder officiating. The family will receive friends following the service in the church Fellowship Hall. In lieu of flowers, the family encourages donations to either The Caring Bridge at www.caringbridge.org or the Mayo Clinic at www.mayoclinic.org.